How often do you eat sardines? I’m guessing if you are like most women, not often. 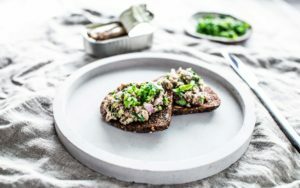 Although many people prefer to avoid sardines because of its strong flavour, it is one of the most convenient and nutritious foods you can get your hands on. In fact, this nutritional powerhouse is listed as one of the five superfoods you should be eating frequently. Sardines are naturally rich in omega-3 fatty acids and vitamin B12 that have been found to support cardiovascular health with one serving of 92.14 grams can contain 50% of the daily needed value of these nutrients. It is great for the heart, as well as your brain and your joints. EPA and DHA fatty acids are highly beneficial to people suffering from joint problems like arthritis as they help reduce inflammation. There are numerous additional health benefits sardines have to offer. They are an excellent source of tryptophan, an essential amino acid; high in calcium and Vitamin D, which are needed for stronger bones; and they are also high in good quality protein. 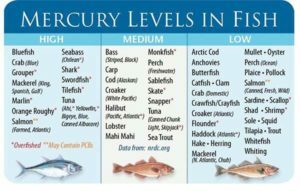 Unlike many large fish we commonly consume such as tuna, swordfish and salmon that tend to contain higher amounts of PCBs and heavy metal, sardines being at the bottom of the food chain have the lowest chance of being contaminated. It is one of the safest fish to eat. Now, I thought if I was to commit to eating sardines on the regular basis, it better tastes good! To my own surprise, mixing it with ghee and onions completely takes away the strong taste, and makes a delicious pate. Mash all ingredients with a fork and spread on gluten-free seeded toast.